Our most recent exhibition (2014-16) was on the theme of Connection. 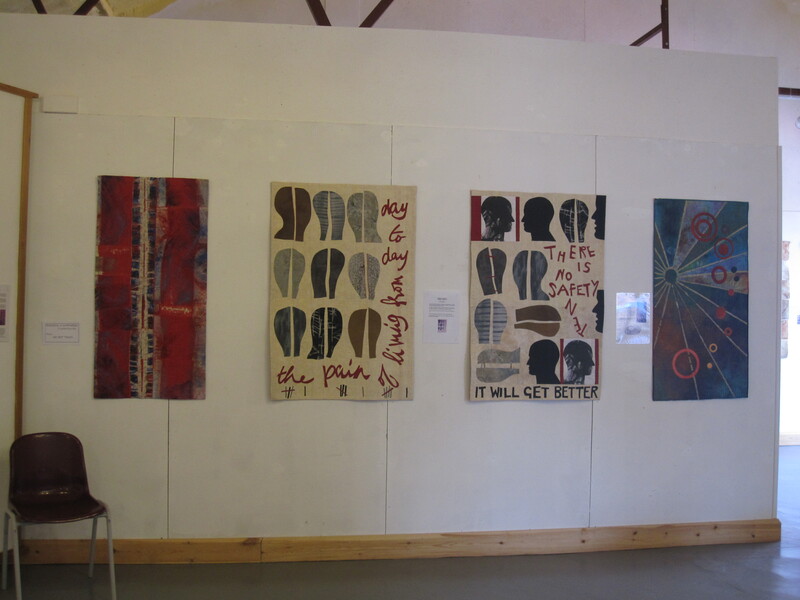 It included 20 contemporary art quilts by Cwilt Cymru members (Judith Barker, Bethan M. Hughes, Dorothy Russell, Judy Stephens, Millie Thomas, Gwenda Williams) and guest artists who have a connection with Wales (Jennie Durkin, Judy Fairless, Margaret Ramsay, and Sandra Wyman). To see images of each quilt, hover your mouse over Connection above and you’ll see a link to Connection Quilt Gallery. 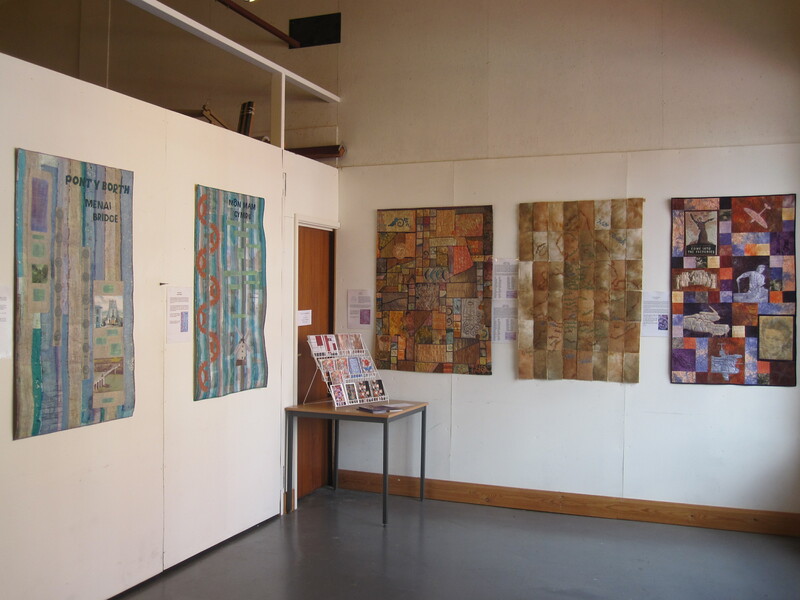 Below are images of the 20 quilts hanging at the Quilt Association’s Turning Twenty exhibition at the Minerva Arts Centre Llanidloes, July – September 2014. 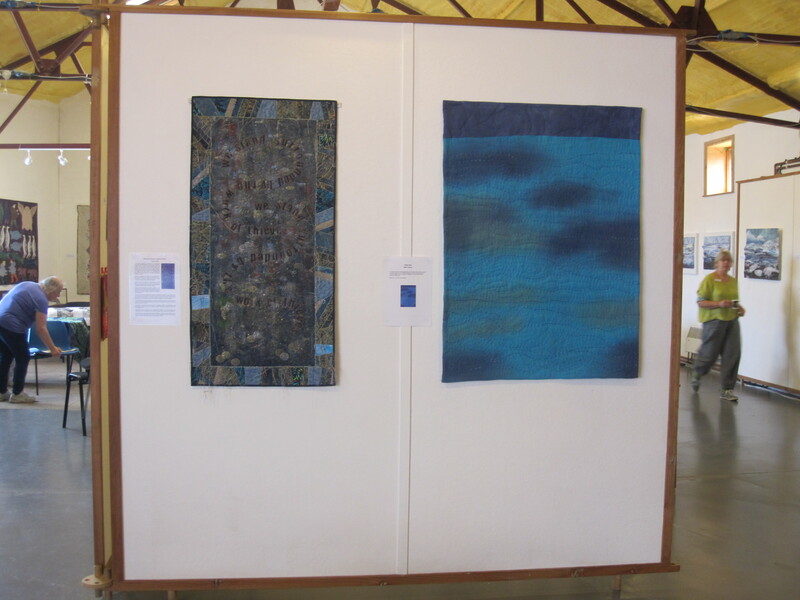 The exhibition needed approx 20m linear wall space (each quilt is 48″ high and between 24″ and 48″ wide). 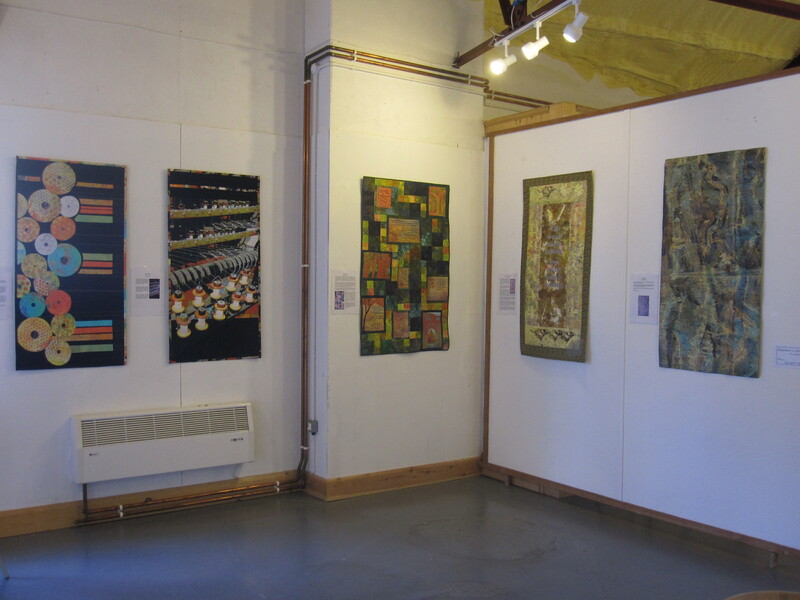 Quilts were hung from flat battens screwed into the gallery walls. 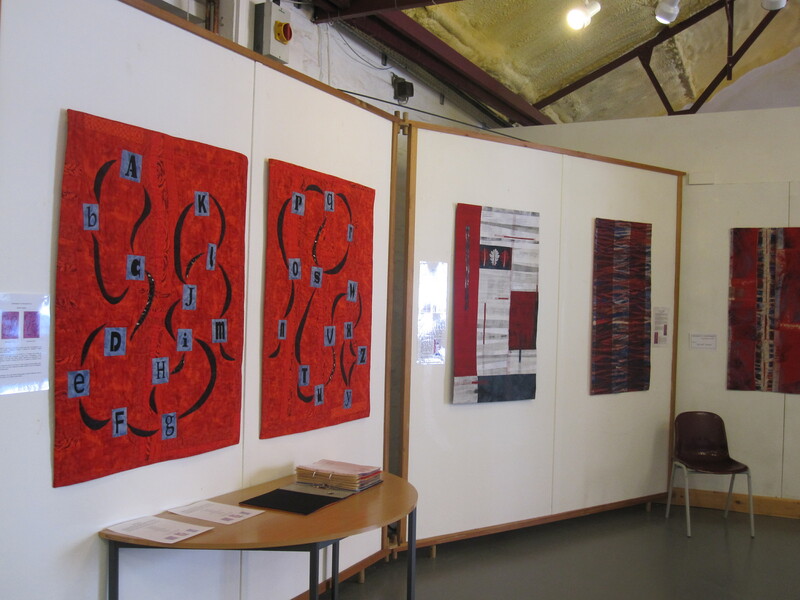 July 14 – September 15 2014 Quilt Association’s Turning Twenty summer exhibition at the Minerva Centre, Llanidloes. A new exhibition called Cynefin is now available for showing and we are seeking potential venues. See Cynefin section above for further details and images. Please leave a comment if you’d like to offer it a venue!